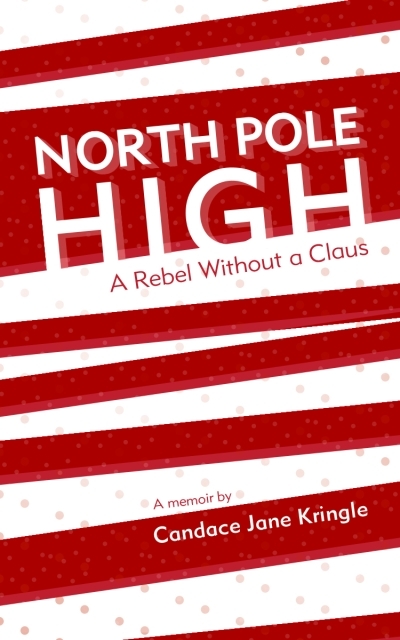 Candace Jane Kringle is a junior at North Pole High. She likes candy canes, unicorn races, and making snow angels. Her father is the most well-known and beloved toy-maker and distributor in the world. 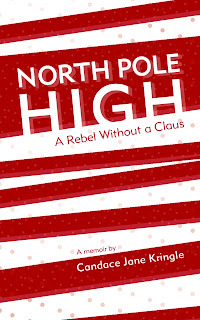 Her memoir, North Pole High: A Rebel Without a Claus, is her first book. After high school, she plans to enroll at North Pole University and write more books. I waited for a scoff while his unblinking gaze confronted me, urging me to go on, to enlighten him. He folded his arms and did as I said. He was quiet. I held my breath, ready for something special, something magical, to bubble out of him. Goosebumps sprouted up and down my arms. Then he spoke. “I see our grades. They’re threatening to jump off a tall building if they depend on me buying into all this ’Tis-the-season jazz.” He opened his eyes and grinned. I knew he’d never take this seriously. “Uh huh,” he answered quietly. I’d obviously opened a door I shouldn’t have. Not knowing how to go back and close it, I quietly stood his mother’s picture back up on his dresser. “Maybe we should take that milk-and-cookies break now,” I said. We both smiled. He wasn’t a heretic. Relieved, I started packing the rest of my stuff into my backpack. “I just happen to think your father’s ideas are ridiculous,” he added. Our game went into pause mode. He didn’t answer. Whatever he’d been ranting about, clearly he hadn’t meant to direct his anger at me. For in another five seconds, he was almost certain to make a pass.